Reclaimed and custom built, the timber used for many of these pieces comes from some interesting places. Whether it's a harvest table, timberframing, custom 3D design, or something of your own invention, this craftsman is up for a good challenge. 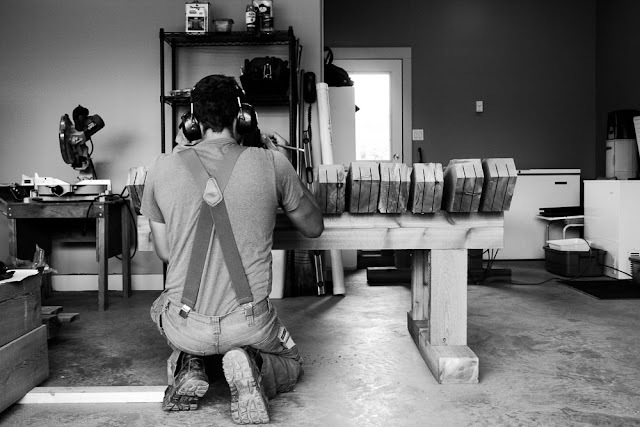 Chad's skill set covers a wide array of techniques with 10+ years experience in constructing full log and timberframe homes, custom reclaimed wood furniture, 3D design, tiny houses, and outdoor timberframed features. He is also a member in good standing with the North American Timberframers Guild. Click on the categories in the drop-down menu to see some past projects.